Hearings On Gun Bills Today! One hour from now, the House Judiciary Committee will take up the first of two gun bills that we’ve been working on this session! HB 136 would allow eligible gun owners to carry on Wyoming campuses — ensuring that Wyoming adults on our campuses are no longer sitting ducks for any madman looking for a body count. And at noon today, they are taking up HB 137! This bill would repeal the deadly “Gun Free Zones” policies that require you and me to disarm in government buildings — buildings that you and I pay to build and maintain. Insiders report to me that over the weekend, the committee was feeling pressure from anti-gun organizations and I’m sure you’ve seen the negative press online. That’s why it’s essential that you call, email and message the committee members on Facebook IMMEDIATELY — make sure they know that you want them to advance these bills with no weakening amendments! >>> Rep. Dan Kirkbride at [email protected], or by calling him at (307)331-2265, or by sending him a message on Facebook. >>> Rep. Mark Baker at [email protected], or by calling him at (307)371-5113, or by sending him a message on Facebook. >>> Rep. Mark Jennings at [email protected], or by calling him at (307)461-0697, or by sending him a message on Facebook. >>> Rep. Jered Olsen at [email protected], or by calling him at (307)509-0242, or by sending him a message on Facebook. >>> Rep. Charles Pelkey at [email protected], or by calling him at (307)920-0542, or by sending him a message on Facebook. >>> Rep. Bill Pownall at [email protected] , or by calling him at (307)682-4148. >>> Rep. Tim Salazar at [email protected], or by calling him at (307)220-1213. >>> Rep. Nathan Winters at [email protected], or by calling him at (307)864-3690, or by sending him a message on Facebook. 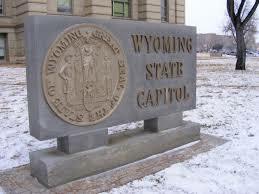 Wyoming Gun Owners volunteers will be on hand, testifying on behalf of these bills. We’ll be sure to keep you informed. But please, contact the committee right away! P.S. Later this morning, hearings will start on HB 136 and HB 137 — two pro-gun bills that would roll back the silly “Gun Free Zone” laws that leave us defenseless in so many areas across the state. The anti-gun lobby is pouring on calls and that’s why I need you to contact the committee IMMEDIATELY! I’ve posted their information above. Be sure to have your friends and family make their voices heard, too! And please, consider a donation to WyGo, so we can keep getting the word out!